Word games glossary 1 focuses on the fun, amusement and the splendid educational tools these types of games provide. These games challenge the mind and can help to improve one’s vocabulary if played often enough. There are many games to be enjoyed and this type of skill game is universally popular. Players appreciate games like Boggle, Scrabble and Hangman, just to name a few. Most people like to do word searches, crossword puzzles in magazines and newspapers plus cryptograms as well. Other people enjoy watching them on television like the famous Wheel of Fortune. Word games glossary 1 allow the game player to develop a richer, more intense vocabulary and to improve upon his or her understanding of words and how they relate to one another. An improved vocabulary has much to do with the way one experiences and understands the world around them. Crossword puzzles that offer hints to other meaningful words, if played regularly, can allow the puzzle solver to add new words to his or her vocabulary. Game play requires the player to possess a set of skills included but not limited to a keen mind, a high intellect, a great vocabulary, speedy thinking processes, critical thinking skills, a firm hold on one’s native language and great spelling skills too. Word games can be enjoyed for leisure and some offer prizes. Among the choices based on popularity, we can identify arrangement and pencil word games of all varieties. is divided into 5 sections in 2 parts and describes games available online, offline or both. The 5 sections are in this order: Part 1=Pencil games with examples, Popular and Classic games described, Part 2=Other Word Games, Glossary and a list of the 5 most popular games worldwide as rated by gamerisms. With the vast array of this game type available and newer versions added online frequently, we are unable to include them all. However, as usual at gamerisms, we explore as many as possible by considering each game by popularity and history. You will find that some of these game types fall into both the word and puzzle category. There are plenty of pencil type games to enjoy. Not all pencil games have to utilize a pencil as some have been translated into online gaming options where the player uses a keyboard and mouse instead. Let’s take a look at some popular games that are presently available both online as well as land-based. Crossword puzzles are found in magazines, newspapers, coloring books, and some magazines are solely dedicated to offering easy, intermediate, and difficult crossword puzzles. These puzzles are sometimes themed, as those identified in TV guides that focus on hints to words related to television shows, while other crossword puzzles offer hints to random words, names, phrases and objects. Crossword puzzles consist of white and black squares arranged in columns and rows. The beginning of every column and row are numbered and the numbers reference hints to words that fit inside the white boxes. A single letter is placed in every white box. Words must be spelled correct if all words are to fit appropriately. These types are popular in the UK and other regions of the world. There are two primary kinds of cryptic crosswords; one where the word gamer is given hints that are entered into the crossword grid and another where the hints lead to answers that must be rearranged before written into the crossword grid. The latter forces the gamer to discover the pattern in order to solve the entire word puzzle. These puzzles are constructed based on a code that the player must figure out. Each letter represents another letter in the text. Once the code is solved, the player can then determine what the phrase or sentence is. Sometimes the phrase or sentence is yet another clue that gives the player a hint at the solution. Imangi has sliding columns and rows that contain different letters that are used to create words, much like a crossword puzzle. Hangman is a game available offline as well as online and challenges the player to figure out the letters to a blank phrase before a hangman’s noose hangs a stick figure. Players are given a chance to guess consonants and vowels in order to figure out a phrase with these word games. Another player keeps tracks of hits and misses. Misses result in a piece being added to the drawing of a hangman. If the hangman drawing is completed, the game ends and the player loses. These popular word games allow two players to choose a five-letter word that remains a secret to the player. Proper nouns do not count and the word must be a valid word selection. Each player then tries to guess the other player’s word by calling out guessing words. Example, a secret word might be something like Grace and the player guessing at the word might guess the word Grape. The player who is guessing is then advised that there are 4 letters that match the secret word. The letter arrangement does not matter in this game. The guessing continues until the word is solved. The first player to figure out the other player’s secret word wins. Word searches look like a series of jumbled letters but rely on a grid of letters with words hidden within them diagonally, horizontally, vertically, and sometimes both forward and backward. The player receives a list of words to find, and he or she can do this at their leisure or in a timed manner to make the game challenging. Some word searches are themed while others are merely a list of random words. 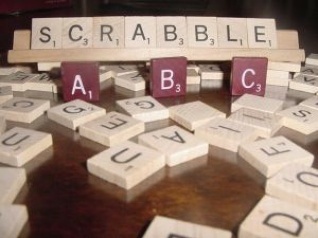 Scrabble is arguably, the most popular of word games where a player uses tiles to create words and to earn as many points as possible. Players then use tiles placed on the board to create new words for more points. Scribbage makes use of thirteen dice that have different letters on them and are rolled. Every letter has points assigned to them that are determined by how often the letters are used in writing or language. The player then arranges these dice in a vertical or horizontal fashion to create words while being timed. Words must be adjoined much as they are in a game like Scrabble. This word games name may be abbreviated to Acro and referred to as Acromania. Acrophobia is a game that has multiple rounds in it and is available online for enjoyment. A bot controls the game play. In every round, the player is presented with an acronym which is generated randomly. The goal of the player is to create as many sentences that work in an allotted time span. After time runs out, players vote on what the best acronyms generated are, but not their own. An example of a created acronym would be something like L.O.V.E. that can stand for “Long Our Values Endure” or “Let Our Violence End.” The key to making good acronyms is that the statement must be meaningful. This popular word game, based on the TV version, is available online and off and allows players to choose consonants and vowels to figure out phrases. A wheel is spun to give player prize amounts/ points. The first player to solve the puzzle wins and the big winner of all rounds gets to play a bonus round. Word Games Glossary 1 is followed by Part 2 with Other Games, a Glossary and list of 5 most popular games worldwide. a list of 5 most popular games worldwide.